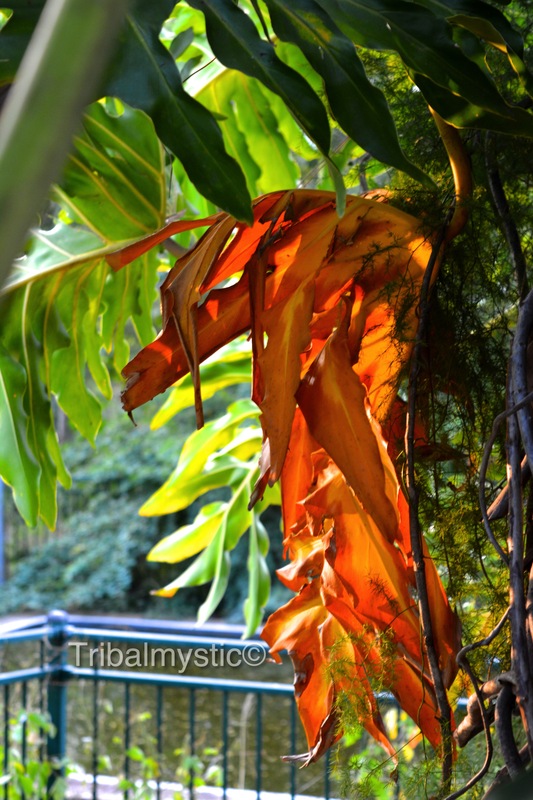 Let’s explore the anatomy of the slow, steady growing and long-lasting tortoise-like leaves. 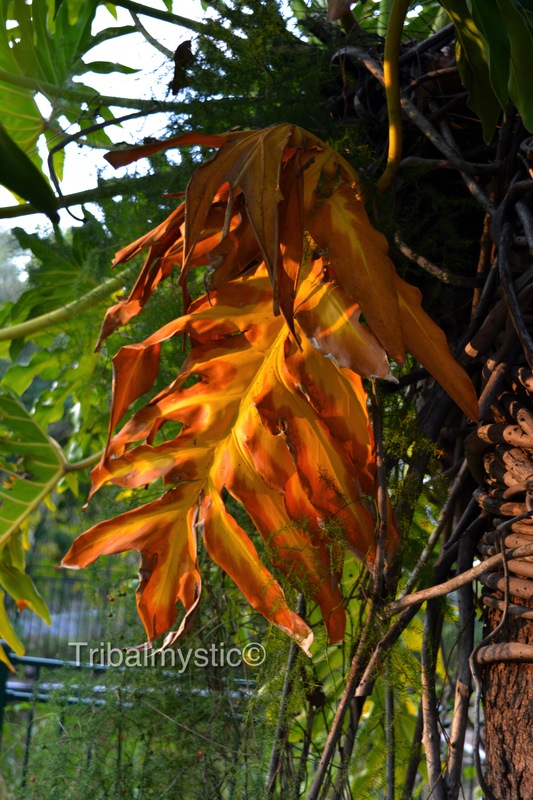 I just happened to photograph one of my favourite subjects, the Philodendron which has tortoise-like leaves. A study by Dr. Peter Reich is looking at the different responses of tortoise-like leaves versus hare-like leaves to changing environments, such as higher levels of carbon dioxide in the air caused by climate change. 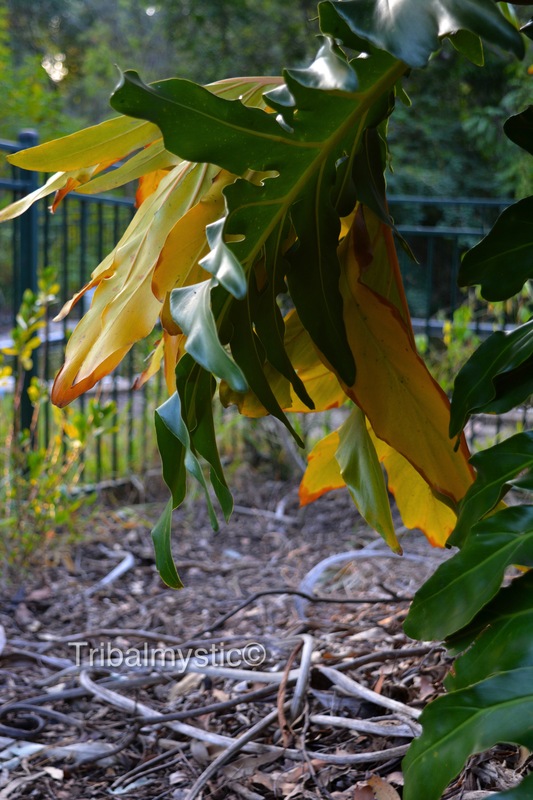 As each generation of leaves reproduces, new genetic combinations are created. Dr Reich studies leaves. Basically a study of leaf takes into account the longevity, productivity and nitrogen content. The University of Minnesota Professor compares the life-patterns of leaves to the fable of the Hare and the Turtle. In the race, the hare is winning the race, but he gets too confident and takes a nap. The turtle passes the hare while the hare is asleep and wins the race. In the case of the leaves, Dr Reich compares the tortoise-like leaves to be slow and steady growers that live longer. The leaves that are hare-like are speedy growers and do not last long. 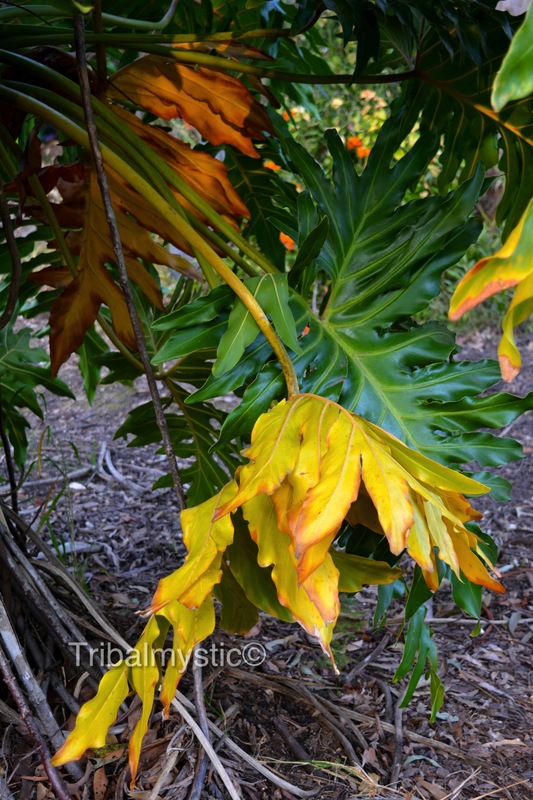 According to this study tortoise leaves such the Philodendron’s leaves will grow slowly and steadily. But sciences also prove that the leaves in the tropics live fewer years than leaves on trees in cold climates such as the spruce in Canada. 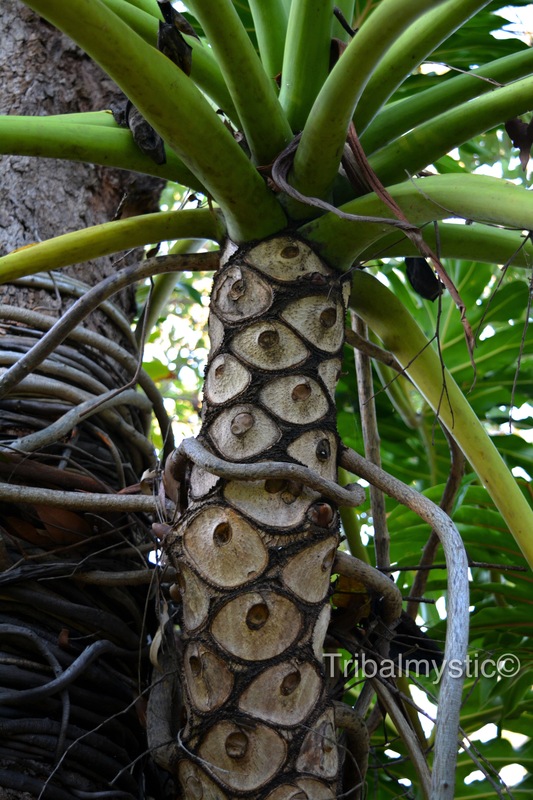 Below is the trunk of the Philodendron. 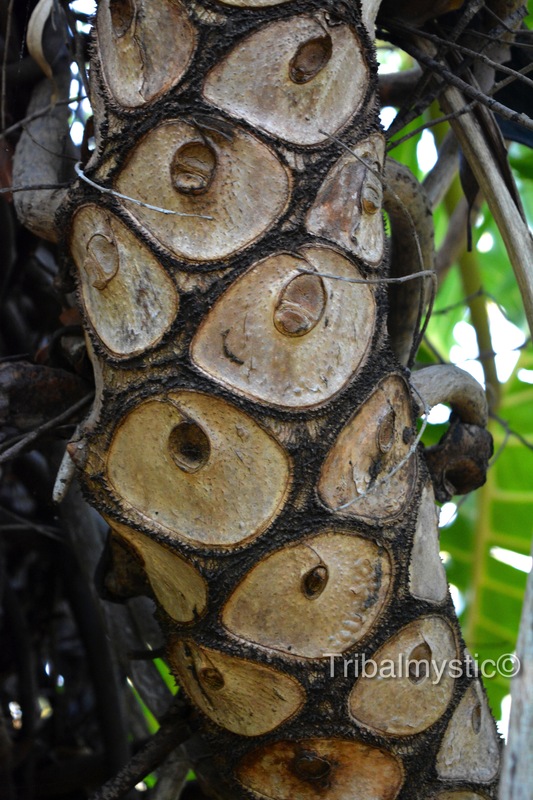 Even a Philodendron’s trunk has tortoise-like patterns. 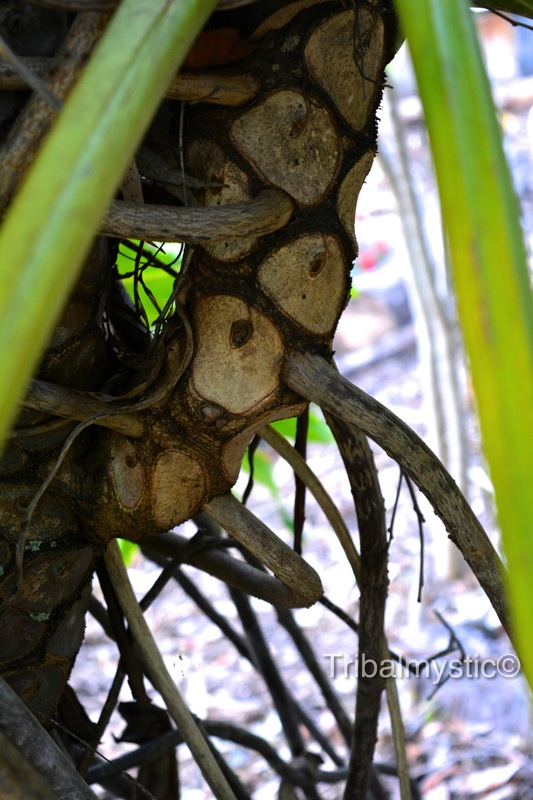 This part of the plant is where my art inspiration comes from. Beautiful images. 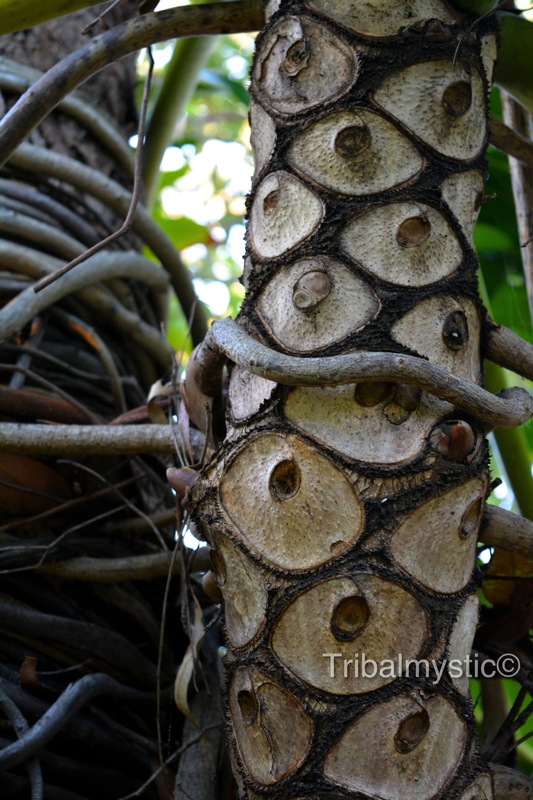 The back of the other trees looks like the skin of the pineapple. The planet consists of wonderful trees. Yes – you’re right! Thank you very much Joel. I’m glad you liked the post. If only we could all appreciate more, what she (planet) provides.